We produce our Texas Native seed right here in Central Texas. Here are some select shots from the field in May. Atascosa Texas Grama will flower and produce seed throughout the year and frequently reseeds itself. This grass is mainly used for restoration purposes. Chaparral Hairy Grama’s fast seed production, establishment, and spreading habit make it an excellent planting choice for highly disturbed sites like highway rights of way or areas susceptible to erosion. A field of Chaparral Hairy Grama, which is a low growing bunchgrass. It can grow anywhere from 1 to 2 feet tall. White Tridens is an excellent native for restoring habitat when trying to feed or attract wildlife. As you can see from the seed heads in this picture, it produces a lot of seed that is eaten by birds and other wildlife. Harvesting our Maverick Pink Pappusgrass. This grass is very showy, but also is a favorite to add into native mixes for its value to wildlife. A closer look at the seed heads of the Maverick Pink Pappusgrass. 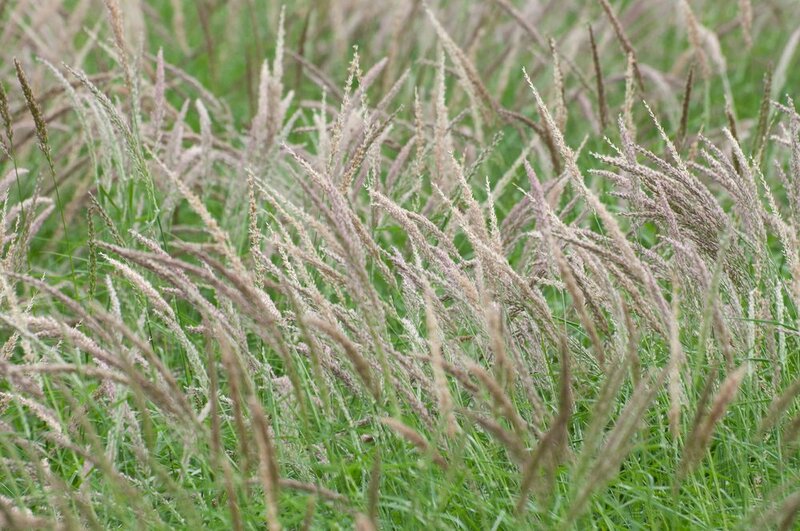 Hidalgo False Rhodesgrass is often added into native restoration mixes as it is a prolific seed producer and the seed has great germination rates. Kinney False Rhodesgrass has eye catching seed heads. It has a variety of uses from ornamental planting to being used in habitat restoration mixes. Lavaca Canada Wildrye’s ability to produce cool season forage, shade tolerance, and value as cover and feed for deer and birds makes it a multi-use range grass. 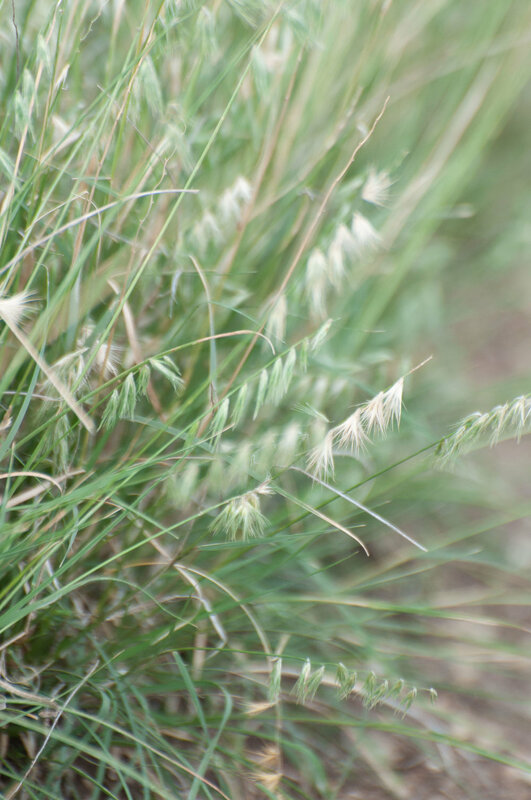 South Texas Sideoats is the official grass of Texas. You can see where it gets its name, as all of the seed are to one side of the stem. We are greeted by a beautiful blaze of Indian Blanket at our fields. We are down right impressed with how well this item has grown. A closer look at the Indian Blanket. Purple Three Awn is another grass that has multiple uses and is visually appealing. It provides great habitat for bees and small mammals and its often included in native mixes. 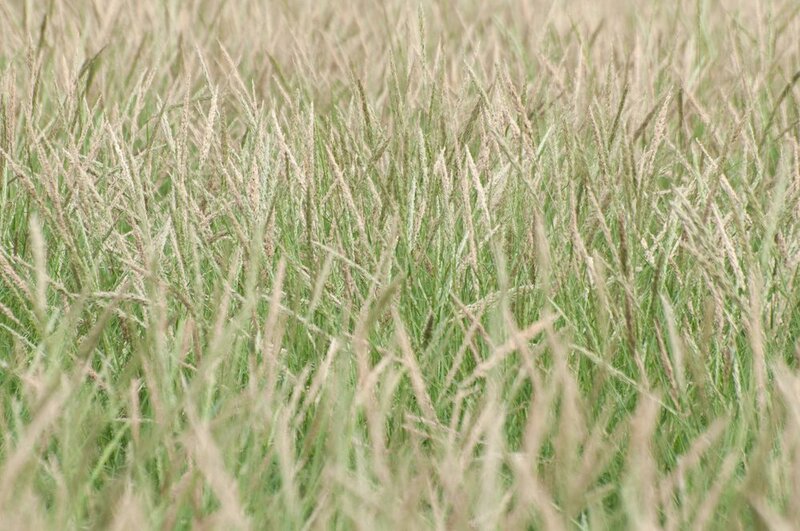 Silver bluestem is a common bunchgrass widely distributed throughout Texas and known for its resilience in the presence of exotic grasses. Zizotes Milkweed is native to Texas and is great for butterflies and other pollinators. 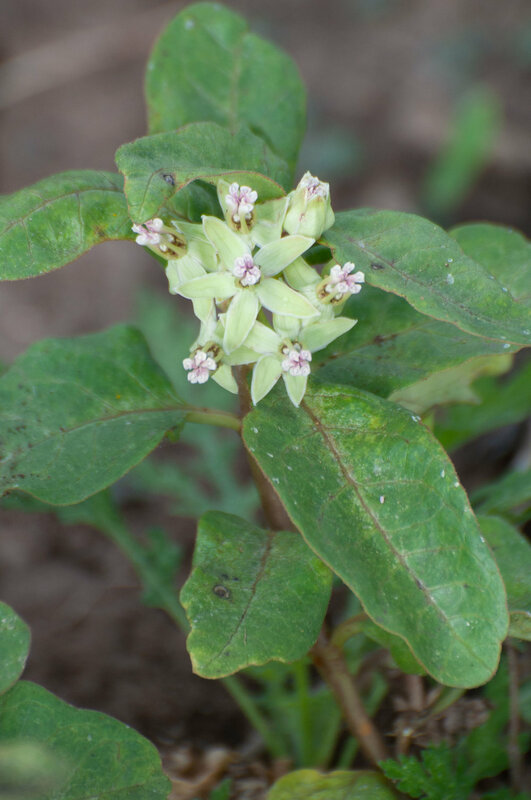 Zizotes is unique among the milkweeds as it has small clusters of green flowers tucked under the leaves.